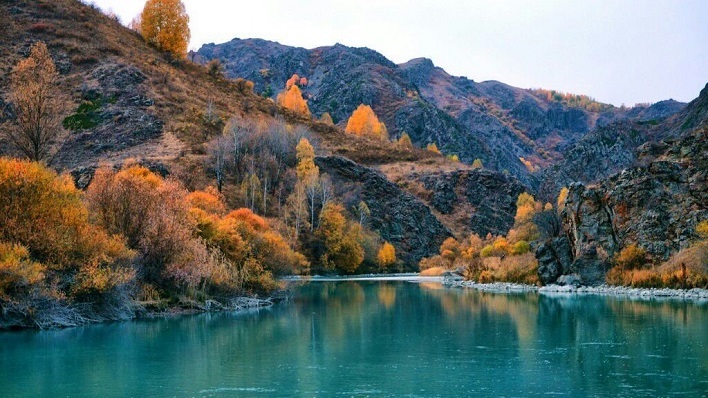 On 21 September 2018, the UNESCO Almaty Office is organizing a stakeholders’ meeting to discuss a new pilot project "Promoting sustainable development in Kazakhstan through UNESCO-designated sites". The event will take place in Almaty, Kazakhstan, "Grand Hotel Tien Shan", conference hall "Alatau". The project, supported by the Ministry of Foreign Affairs of the Republic of Kazakhstan, will be implemented in five regions of Kazakhstan: Almaty Region, East Kazakhstan Region, Zhambyl Region, Kyzylorda Region and Turkestan Region. The project is aimed at promoting heritage-based tourism (cultural and eco-tourism) at and around UNESCO-designated sites. It will focus on the sites included in UNESCO’s World Heritage List, Man and the Biosphere programme and potential sites to be included in the Global Geoparks Network. During the meeting, the participants will discuss the current situation as regards their preservation and management, tourism development and related educational and awareness-raising programmes. The meeting will also provide an occasion for the participants to gain a better understanding about the obligations and opportunities related to the labels of World Heritage, UNESCO biosphere reserves and global geoparks, as well as to discuss and agree on the further action plan and cooperation within the project. The meeting will bring together representatives of the Ministry of Culture and Sport, Forestry and Wildlife Committee of the Ministry of Agriculture, local administration of the five pilot regions, directors of biosphere reserves and managers of the World Heritage Sites, representatives of tourism-related organizations in Kazakhstan, international organizations and other potential partners of the project. For further information regarding the project and the meeting, please contact the project foal point at UNESCO Almaty, Ms Natalia Kim (email: n.kim@unesco.org; tel: +7 727 258 26 43, ext. 1424).